This famous theatre is much more than a theater. It was a saloon, gambling hall, and brothel in the late 1800s and early 1900s. The Bird Cage ran 24 hours a day, seven days a week until it closed in 1889. 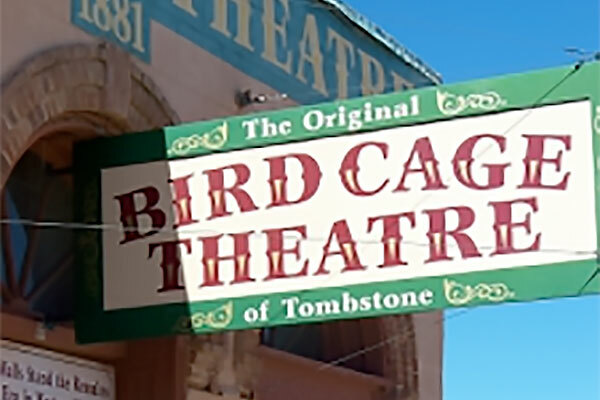 The Bird Theatre was known as the wildest night spot in the west. That is supported by the 140 supposed bullet holes in the ceiling and walls. Just be careful who you get into a card game with at the Bird Cage Theatre! 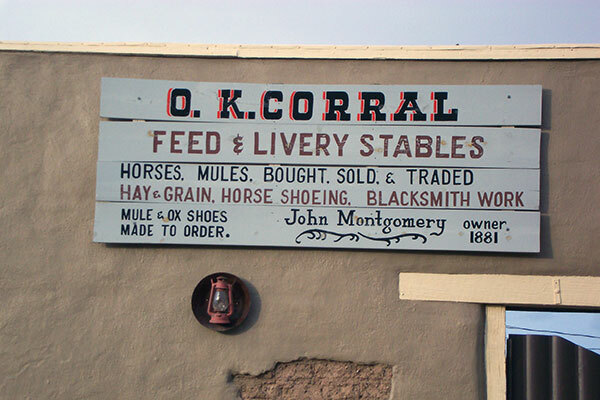 The gunfight at the OK Corral was the biggest event in Tombstone's history. In 1881, Wyatt, Virgil, and Morgan Earp along with Doc Holliday were part of the famous shootout that left Billy Clanton and Frank McLaury mortally wounded. Today, you can see a reenactment of this famous gunfight. It is quite the realistic show. 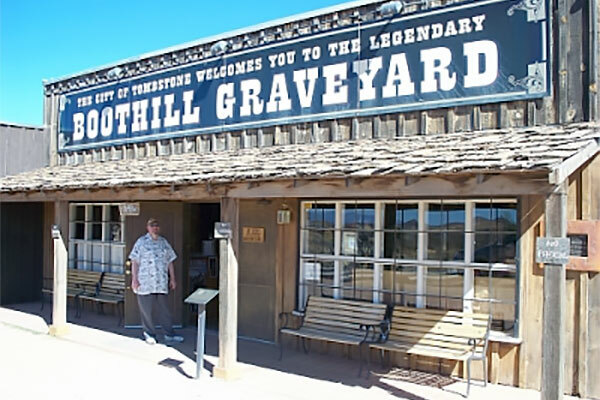 Boothill Graveyard was given the name when residents died violent or unexpected deaths and were buried with their boots on. Victims of the famous shootout at the OK Corral are buried there. Take a tour through the restored graveyard and see the locations were the victims of the OK Corral are buried. 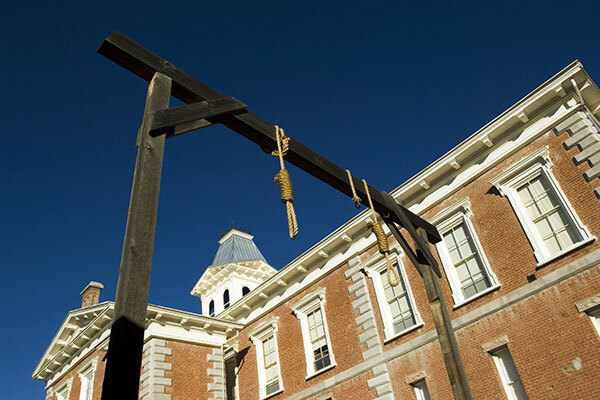 The Courthouse is now a museum of the turbulent times that Tombstone is famous for. The museum features many pictures and artifacts of the time and gives an interesting perspective of life in Tombstone in the late 1800s and early 1900s. The Courthouse was designed to house county officials, the sheriff, and a very well-built jail. All Tombstone tours are suggestions. The courteous staff at Across Arizona Tours will gladly work with you to customize a tour for group. Contact us at (602) 233-1813 or toll free at (888) 533-1813 and we will set up your groups Tombstone tour. You can also email us with any questions about the Tombstone tour.